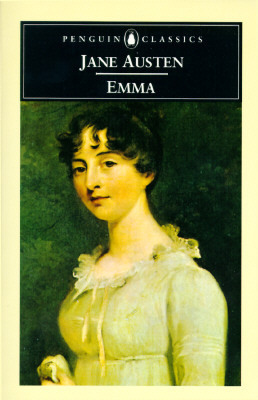 Today I had no idea what I’d write about for SOL, but then I stopped by “Modern Mrs. Darcy’ blog and read Anne’s post “In Praise of Bookish Deadlines and Library Due Dates. It really got me thinking about my choices in when and what I read. I have so many TBR books and overflowing bookcases and I know I need want to read them. But I also borrow books from the library and usually have fifty or so at a time. Many have to be renewed once or twice before I get to it. I really do hate to return a book unread. I keep a list by the computer for book recommendations – from picture books to MG and YA to non-fiction and fiction. I then order them from the library and at least once a week pick up a new stack of books. But, from the 40 or so library books and the 100s of my own, how do I choose? As I checked out the notification from the library this morning, I realized I had 3 books due on Friday – 3 books that I have already renewed 2X and can’t renew again. They are all non-fiction and all three I am interested in. But I know I can’t read all three this week. Naomi Klein’s book “This changes everything” is the one I am planning to read. The others I have to return and hope to get again, when I am ready for them. I really feel that the right book arrives at the right time. Whether there is a deadline or not, sometimes a book jumps the line and I have to read it. I am working my way through Robyn Carr’s Virgin River and Thunder Point series. So when they become available through the library, I read them as soon as I get them. Now that I have the time to read, I am definitely reading more. 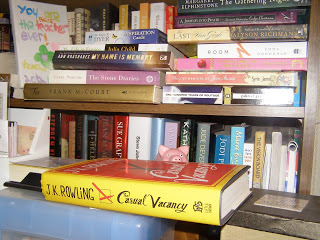 I hope to chip away at the long list of TBR books, although more deadlines are coming up for my library books! How do you choose which books to read? As I prepared my fall vision board (visit here to see completed board), I thought about some of the books I hoped to read this season. 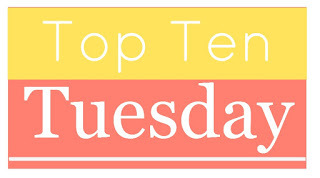 I have so many (too many in fact)on my TBR shelf (really – shelves). This Changes Everything by Naomi Klein. Climate change needs to be addressed and Naomi presents a convincing argument for it. 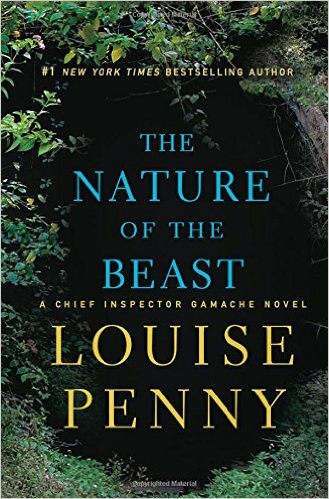 The Nature of the Beast by Louise Penny. I have loved all the books in her Gamache series – can’t wait to dive in. His books are always gut-wrenching and truthful. Inner Excavation by Liz Lamoreux. I started this book a while ago and want to finish it and complete the art projects. 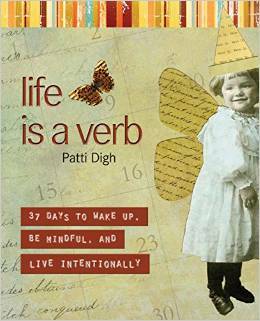 Life is a Verb by Patti Digh. 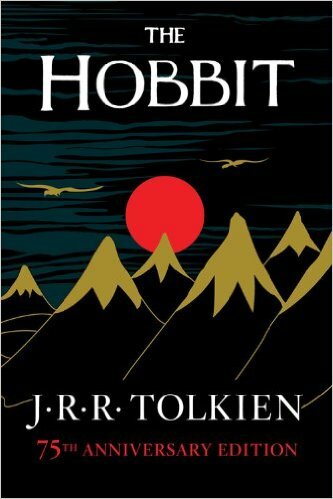 This is another book to finish, in partnership with book 4. I can’t believe I have never finished this book, even tho I have started it numerous times. Well past time! I have always meant to read this but now is the time. I hope then to read her other books as well. 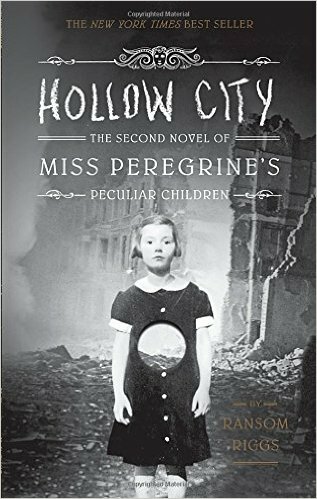 Hollow City by Ransom Riggs. I read his first book “Miss Peregrine’s Peculiar Children” and was thoroughly captured by the book. Now that my hubby has bought me book 3 for Christmas, I’d better read this one. 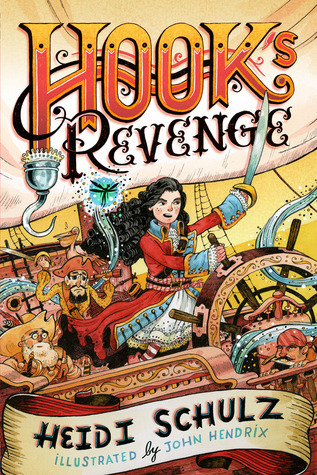 Hook’s Revenge by Heidi Schulz. I am always intrigued when an author alters a beloved book or tale. 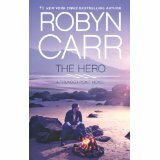 Thunder Point series by Robyn Carr. I know this is more than one book, but I have already the first 2 books in the series and hope to read the rest of them. Today we gather at “Two Writing Teachers” to share “A Slice of Life” with this wonderful writing community. Today is the last day of summer and it was a lovely day. Yet my thoughts turned to autumn and the resolutions I hope to follow over the next three months. For the past several years, I have created a vision board, to focus on goals for the coming season. I find it necessary and powerful. I find that thinking about these goals, and seeing the vision board, helps to refocus me when I need to get back on track. Tomorrow I will answer these questions, focus on my goals and then create my vision board. Check here, on my art blog to see what I created. 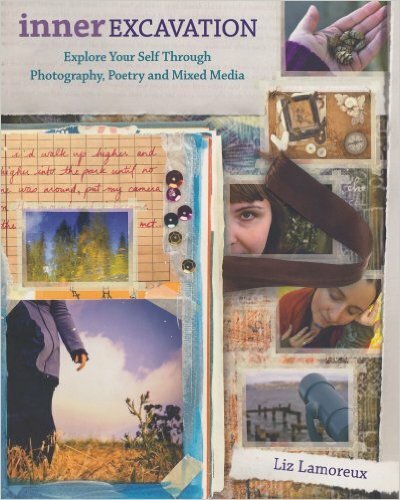 Slice of Life Tuesday” is the weekly writing challenge hosted “Two Writing Teachers” – where a wonderful writing community shares and supports each other. During university (many years ago), a friend at the time accused me of never finishing anything. Since then, I have received two degrees, written several novels and picture books (still to be published), had children, taught for over 30 years – just a few of the things “finished” over. Yet, the phrase has continued to surface over the years. When I read an article this weekend by Jennie at “Little Girl Designs”, I recognized myself and why that phrase still aunts me. She stressed that we need to “Consume less, create more”. She discussed how she became overloaded with course after course , taking in more information than she could realistically process fully. This “information overload”I one I face. I am always seeking new blogs, new articles, new books, new courses. If I see something I like, I have to learn more. I buy a book, print off an article or sign up for a course. Then something else appeals to me, and the same cycle happens again. I have tried wood carving, beading, basketry, wood burning, among other things. Jennie sawys we need to “make room for creativity”. so that we are not consumers of information, but creators. Yes, I do finish things, but I can see that when I pursue knowledge, I am constantly on a wheel to learn more and more. 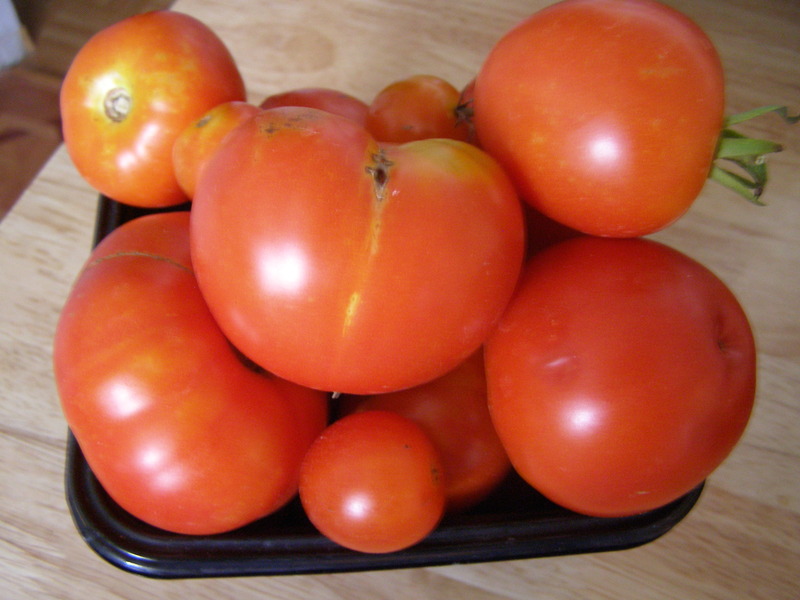 It has been a while since I participated in”30 Words Thursday” and while I am not sure the challenge is still running, seeing those tomatoes on our kitchen counter inspired me to write. 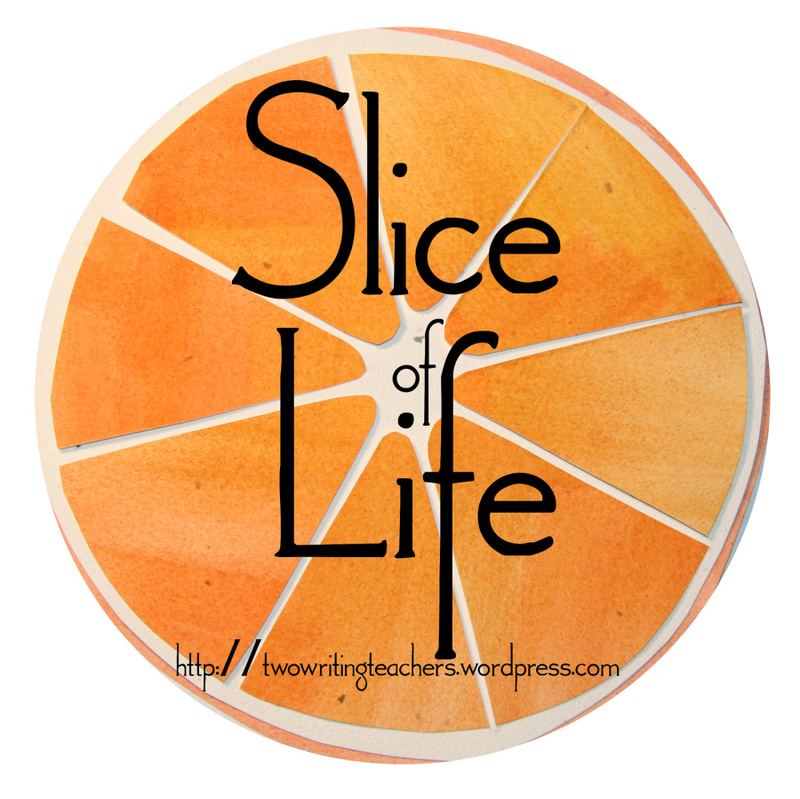 Today is Slice of Life Tuesday – the weekly writing challenge at “Two Writing Teachers”. For many, today is the first day of a new school year. New friends, new teacher, new adventures, new learnings. For over 30 years, this was a day to prepare for, to worry about, and then enjoy as I meet and got to know my new students. I still miss the excitement and even the challenges of those first days. This will be the third first day I have not started in a school. Today, I decided I needed to get back some of that sense of excitement of a new year, of new challenges, of new faces. Jen of Journal Wild posted about starting a year of “journaling dangerously” yesterday and the need to just start, anytime. Today is the perfect day for me to start. I resolve to commit to journal daily – whether it be in words or art, in a list or in paint, to a prompt or to my own need. There are no rules, except to journal each and every day. I am excited to see what I learn about myself along the way. It has been awhile since I posted for this meme. 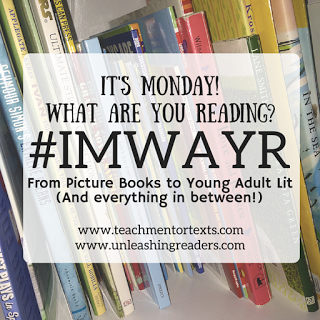 I am reading picture books and mg and YA books regularly, but have not taken part in Jen Vincent’s and Kellee Moye’s weekly event. Past time I did. In the past few weeks I have read some exceptional picture books.Here are 3 of them. 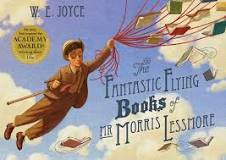 The Fantastic Flying Books of Mr. Morris Lessmore by William Joyce, illustrated byJoe Bluhm and William Joyce. The books begins with: Morris Lessmore loved words. He loved stories. He loved books. What a wonderful message for everyone. This is a must read book! 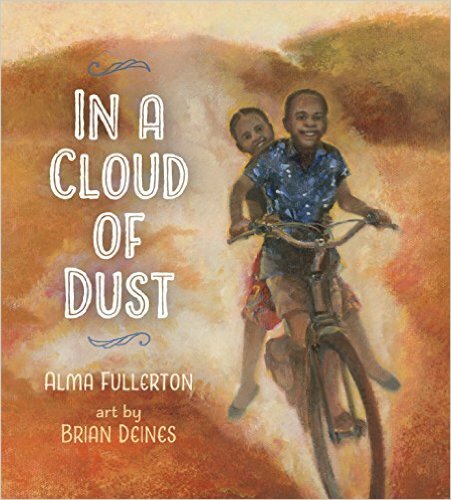 This a lovely book about a young Tanzanian girl and how a simple gesture can transform a life. Loved the simplicity but lyrical verses in how the story was told.Having been engaged to a Tanzanian at university and known many African students there, I am drawn to books that shine a light on the life there. This is Lois Lowry’s first picture book and it was a lovely retelling of an actual event in her life. 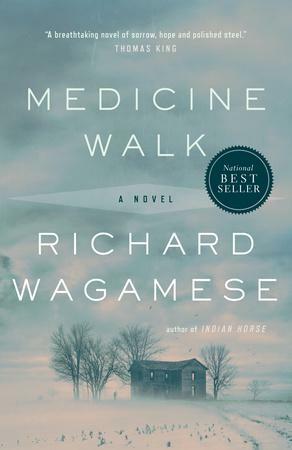 It tells the story of a young girl who is trying to recount with her father after his return from war. So enjoyed it.